Naga People’s Front (NPF) president Dr Shürhozelie Liezietsu on Saturday urged the party people to take a firm stand to defend Christian faith. Addressing the party workers in Kohima on Saturday morning, Liezietsu pointed out that atrocities committed against the Christians rose from 177 incidents in 2015 to 351 in 2017. He maintained that he had collected a few information from the website www.persecutionrelief.org. Campaigning for the May 28 by-election closed at 4 pm on Saturday. On the complaint lodged by ruling coalition partners BJP and Nationalist Democratic Progressive Party (NDPP) to the Election Commission of India against him, the NPF chief asked the party people to remain alert, as this has clearly indicated their intention to create problems during voting wherever they find their position is bad. Liezietsu said the BJP and NDPP in their complaint stated that his speech in support of his stand in defending his own faith might result in violent clashes and street fights. He said it was the sign of desperateness on their part and justified his stand by saying that he is defending the Article 25 of the Constitution of India which safeguards freedom of religion. He advised the party people to remain calm and ensure free and fair election and wished the party people the best of luck. 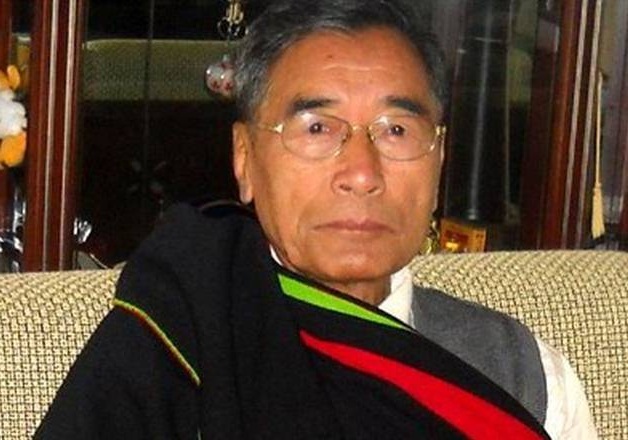 Expressing his satisfaction over the progress of the campaign for the NPF official candidate C Apok Jamir for the Lok Sabha by-election, Liezietsu was confident that the NPF will win with thumping majority if the election is held free and fair. He lamented this freedom is no more in some of the BJP ruled states in the country where atrocities were committed against the minority groups in which the Christians suffered the most.